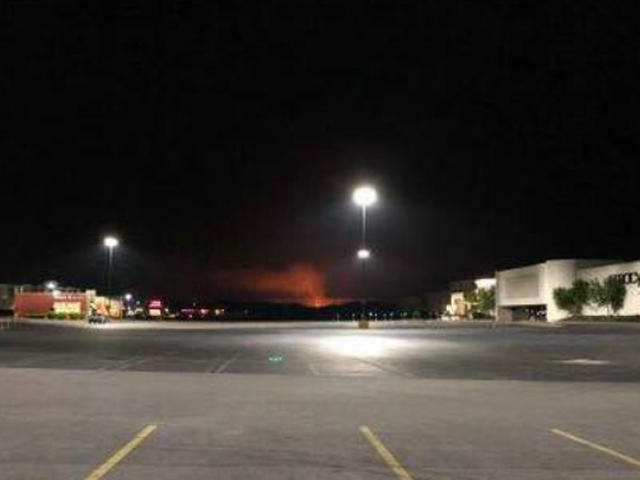 A powerful gas line explosion sent flames shooting into the sky early Thursday in the Nixon Ridge area of Marshall County, West Virginia, reports CBS Wheeling affiliate WTRF-TV. The flames could be seen for miles around. The blast, in a TransCanada pipeline, was felt around 4:20 a.m., the station says. One person told WTRF it shook his house so badly it felt like a tornado was ripping through the area. Moundsville, W. Va. police told CBS News the fire was "very large -- if you can see it from your house, evacuate"
Ohio County, W. Va. Ohio County Emergency Management Agency Director Lou Vargo said they were getting dozens of 911 calls from people who could see the flames and were very alarmed. There were no early reports of injuries.